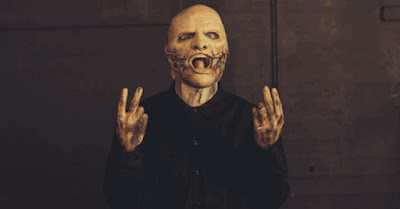 MetalRockNews: Slipknot's Corey Taylor: "Music is the last vital emotion"
Slipknot's Corey Taylor: "Music is the last vital emotion"
Slipknot's Corey Taylor was recently interviewed by Artist Spotlight, you can read some excerpts below. Corey Taylor said: "Music is everything. Music is so important to me that if I didn't have it, I wouldn't be the same person. For the longest time I didn't know that I wanted to do music. I wanted to be a history teacher, but I just kept coming back to music. Music is probably the last vital emotion that we all have in common. It doesn't even have to be the same style, but it's the one thing that ties us all together." Taylor adds that playing live is the ultimate high for him as a musician. He said: "Putting the stuff on, touching base with all the guys, coming together for the huddle, going backstage and waiting for the audience to pop, that gets the adrenaline going like nobody's business. There's a lot of little things that make every show not only unique, but vital for me. I'm not one of these guys who waits three hours to go onstage. I can't wait, I just love playing live. If we're late going on, I lose my mind."